The Pictorial Newsletter was compiled and edited by Arthur J. Stuhlfeier. Mr. Stuhlfeier was in the newspaper business for over fifty years. Born in Minnesota, Mr. Stuhlfeier and his wife and daughter (Maude and Violet) relocated to Forest Park in 1926. 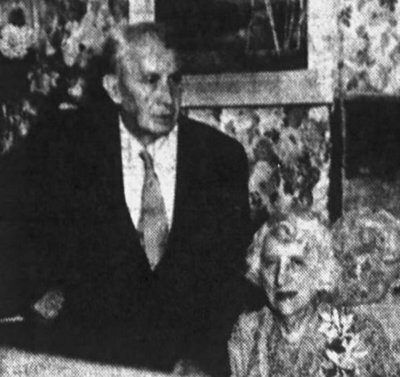 The Stuhlfeiers bought property in McCullom Lake in 1933 and moved there permanently in 1941. Besides being the editor of the Pictorial Newsletter, Arthur was the Village President of McCullom Lake, a village trustee in Forest Park, and was in the Masonic Lodge for over 50 years.